Shangri-La B&B – We Will Have A Warm Welcome Waiting For You. We Will Have A Warm Welcome Waiting For You. and furnished to the highest of standards so guests are guaranteed a peaceful, relaxing and memorable stay. Shangri-La has the advantage of a rural setting, but there is an abundance of activities and amenities nearby. 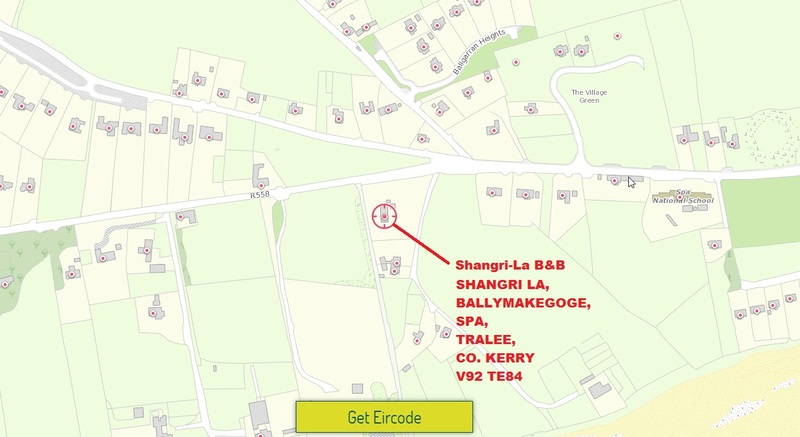 You can enjoy a leisurely 10-minute stroll from Shangri-La B&B to the beach, as a scenic pathway meanders down from the house to Tralee Bay. Within 10 minutes of this stunning residence, there are two excellent restaurants, a pub, Tralee Golf Club, horse-riding and watersport activities such as sailing, swimming, fishing, kayaking to name a few. This bed and breakfast is an ideal base for touring Dingle, Kerry and Tralee. Your host, Mary, will be delighted to advise you on the best things to see and do in the area and after a busy day, you can look forward to a relaxing evening in idyllic surroundings, in this inviting and homely B&B. You can book Shangri-La bed and breakfast accommodation through our secure online booking facility by using the “Book online Now” form above. You will receive an instant e-mail confirmation for your booking. Alternatively you can contact the B&B directly using the contact details or enquiry form on our Contact Us page. Lovely little home just outside Tralee! The hosts were very welcoming and nice enough to give us various options for dinner. We only stayed one night but very worth it and wouldn't hesitate to return. We reserved a twin room and got a double, which was a smaller room than that which we'd reserved. We both couldn't open our suitcases at the same time; that's how small it was. The bathroom was about the size of a closet and there was NO hot water. We froze taking showers. We were asked when we wanted breakfast and I said," 7:30 or 8:00 am " to which I was told ,"Well, how about 8:30." Why ask me what time I want breakfast if you aren't' serving until 8:30?! The next morning we didn't' have breakfast at 8:30. We didn't' have it at 9 am. Both us and another couple were sitting around waiting until 9:15 when the hostess finally got up. Then she had to prepare the breakfast. She said she overslept-- really, until 9:15?! We were polite, but had we known this was the case we would have left and gotten breakfast elsewhere. This really shouldn't be considered a three star B and B. It's more like a 2. 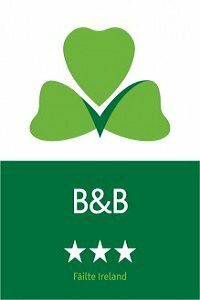 I'd suggest B and B Ireland review it again. We stayed here during Sept 26-28, 2018. Pros: beautiful rose gardens on property; Mary a nice host. Cons: Rooms a bit small and lacked shelf space. Furniture old. Shower gel not provided up front. Breakfast orders sometimes did not match requests. Mary was a wonderful host and the B&B was a great place to stay. Very homey and quiet with a beautiful view. Mary's roses are very beautiful and aromatic.highly recommend staying here. This B&B was a great place to stay!! They were very accommodating to our late arrival the first night, and Mary was very helpful with directions to our destinations. The location was beautiful...they are so lucky to live where they do!! I wish we could have spent more time at the place itself to really experience the grounds and the area. So nice to have a good breakfast as well when we woke up!